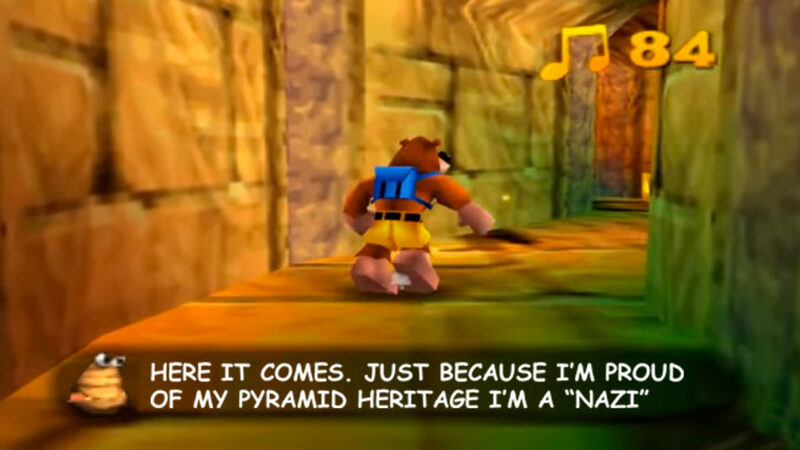 Playtonic Games made headlines last week when they cut famously racist YouTuber JonTron from their upcoming game Yooka-Laylee just because he thinks ‘the races shouldn’t mingle’. 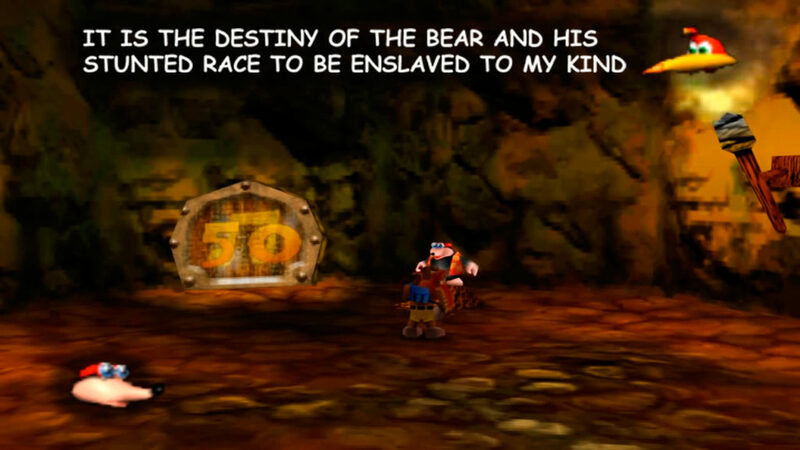 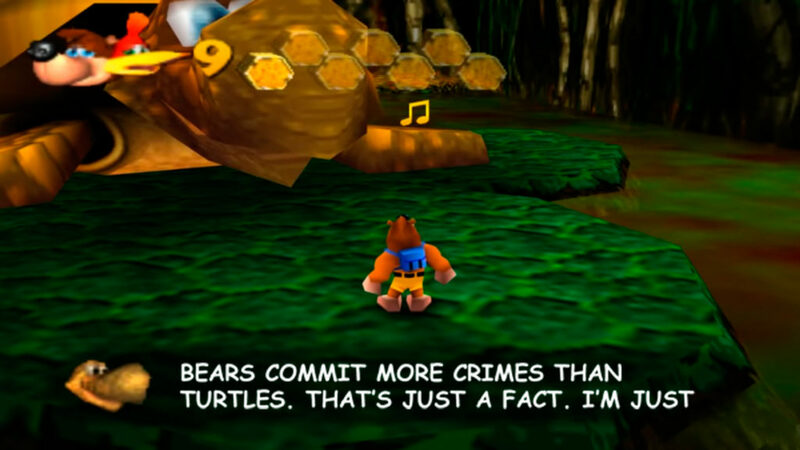 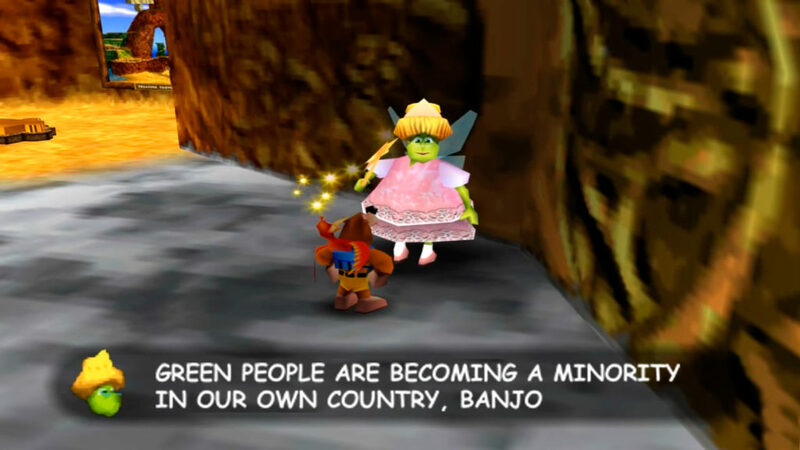 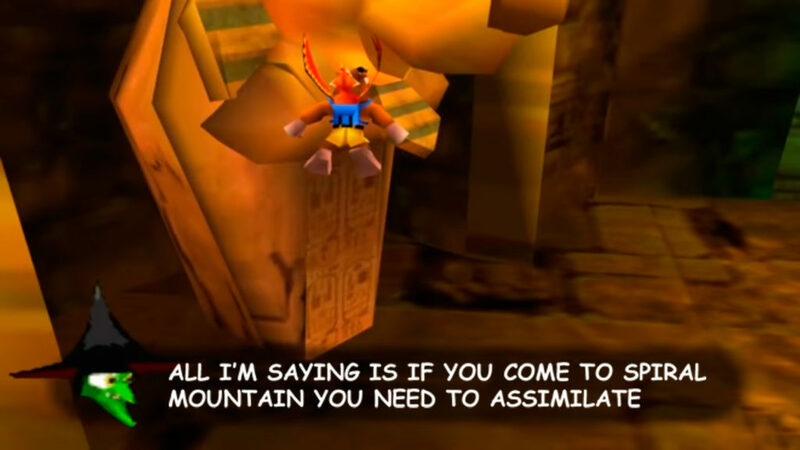 But how can these hypocrites explain some of the most racist dialogue in their previous platformer Banjo-Kazooie? 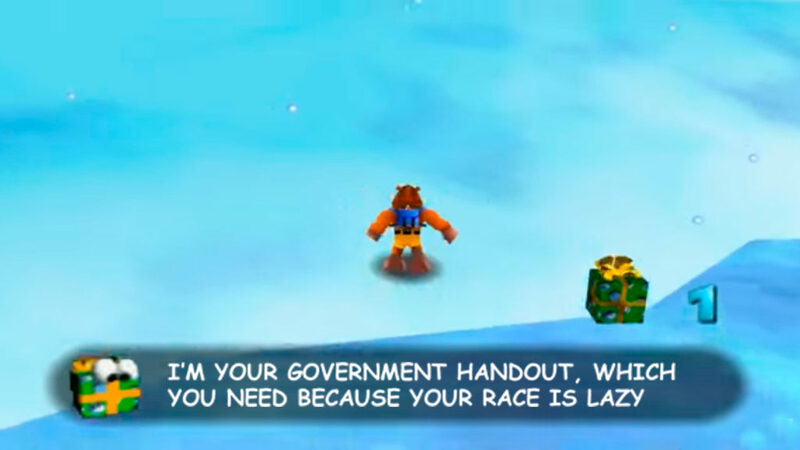 More double-standards from the regressive left, if you ask me.